33 year old Television producer and UFO enthusiast, John Greenewald, has been filing Freedom of Information Act requests for information on UFOs and other topics since he was a teenager. He now has a database of over 650,000 pages of declassified material all available to the public through his website The Black Vault. Recently the Project Blue Book files were added to the database all in PDF form. The files can be searched by year or keyword. My first choice of keywords was "extraterrestrial being" in which 15 files included the words. I briefly read through a few cases. Maybe there could be a few exceptions, but most Project Blue Book cases are incidences which were investigated and proved to be either common assurances, hoaxes, or cases that were genuine UFO sightings and left unexplained. There really isn't anything in the files too ground breaking or exciting. We must be reminded that this project was started by the U.S. Government after the Roswell incident so, we won't be finding any of the juicy Roswell information or alien pictures we have been longing for all these years. 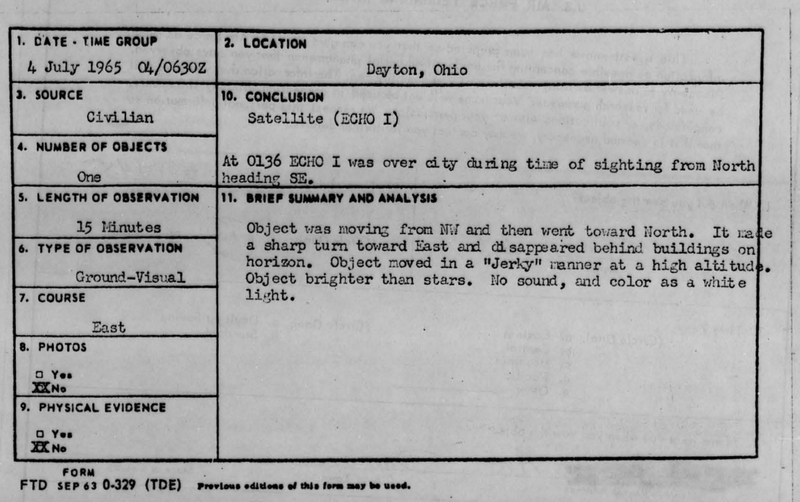 Still, the genuine filed UFO sightings are always an enlightening read. Have a look for yourself at Project Blue Book Collection.